Someone throws a ball. The other person catches it. Simple, right? No, not really. This is one of the most complex processes science has ever attempted to comprehend, let alone recreate. Inventing a machine to see like the human eye does is deceptively difficult. Not only because it’s hard to make computers to do it, but because it’s not entirely understood how the human eye sees. The human eye gathers an image, runs an analysis on it, and sends the information to the brain, where it’s analyzed a bit more. Compares that image to everything it knows, and finally decides on some path of response. In the scenario with the ball, the person puts up their hand to catch it. This all takes place within a tiny fraction of a second, takes almost no conscious effort, and almost never fails. Therefore, recreating human vision isn’t just a hard problem, it’s a set of them, all of which rely on the other. In 1966, AI(Artificial Intelligence) pioneer Marvin Minsky famously instructed a graduate student to ‘connect a camera to a computer and have it describe what it sees.’ Fifty years later, scientists are still working on it. Computer vision is the science and technology of machines that see. 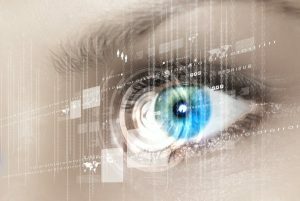 As a scientific discipline, computer vision is concerned with the theory and technology for building artificial systems that obtain information from images or multi-dimensional data. Traffic monitoring, security and surveillance applications and target tracking all require computer vision. They all follow moving objects at high speeds, hence the necessity to process the data in a split second. This type of processing typically needs input data provided by a computer vision system, acting as a vision sensor and providing high-level information about the environment and the robot. If the lens you use cannot ‘see’ quick enough, or fast enough then it is not effective. At Universe Optics we design and manufacture precision lenses to be used across multiple industries using computer vision.